The college has an excellent infrastructure with uniquely built classrooms and scenic surroundings. Very good exposure to academic & personal lessons that are crucial for life. An amazing set of friends who always act as stressbusters. The offer from ZEEL. 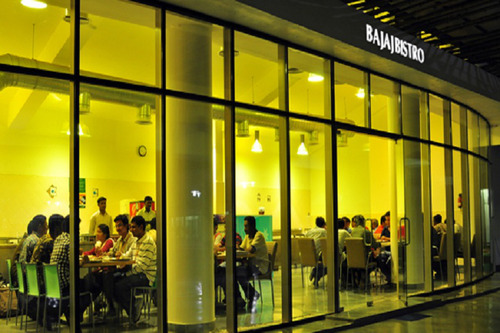 A very well equipped gym, bb court, badminton court and luxurious hostel rooms. Great Lakes had a huge impact on my knowledge base, perspectives, the way of thinking - thanks to the diverse faculties we had. You would end up having professors having a different philosophy, style of teaching, evaluating, etc. We had a few outstanding faculties who were masters in their respective area (and a few not so good ones too - well, Law of Averages). library open from 8 to 12 midnight and a huge collection of books - across different categories and a wide variety of magazines and Newspapers . The facilities are world class with superb classrooms and great hostels .Personally, I feel Great Lakes is way ahead of the league it is currently in thanks to the great facilities and the awesome faculties. The knowledge imparted is definitely better than other B-Schools that are said to be in the same league. But, sadly the placement cell hasn't been able to convert that into a great advantage in terms of career. Though students have been getting decent opportunities (and some have reached great positions too), I feel the students deserve to be at a different level. 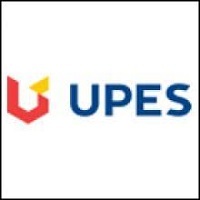 I would like to have a change in the strategy of the placement cell. 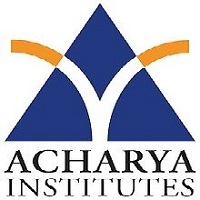 Great learning atmosphere with world class faculties. Faculties are at par with IIMs. Weekly Corporate lectures are something that stands out. The effort of Placecom team is commendable. Late night sports like cricket, basketball, football, volleyball,etc. 24-hours lively atmosphere. Late night maggis and dosas. Resort like hostel rooms. The amazing crowd from different parts of the country. The 2-year residential program that I am doing is full of learning and many takeaways. Good Internship track record. The only thing that the campus lacks is its proximity to a city. Chennai is 50 km away from the campus. Nevertheless, we have Mahabalipuram which is just 8 km away. 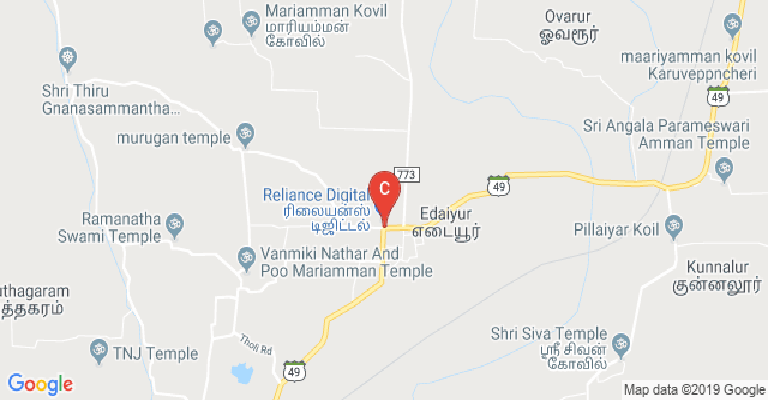 Pondicherry is around 100 km away. Hostel rooms and class rooms are well equipped with Air Conditions. Thus Chennai heat is not a big problem. The fee is slightly on the higher side. But it is all inclusive of the stay and the foods. Foods are offered by Sodexo. The campus is clean. Our very endearing Bala Uncle personally takes a keen interest in the events and activities happening in college. He is easily reachable. Indeed a source of inspiration. Apart from this the college, every now and then, arrange for sessions from eminent personalities like Mr. Narayan Murthy, RBI deputy governor, Mrs. Vinita Bali, etc. These personalities share their experiences and enrich our overall learnings. The college has two main festivals: Sangamitra and Latitude. 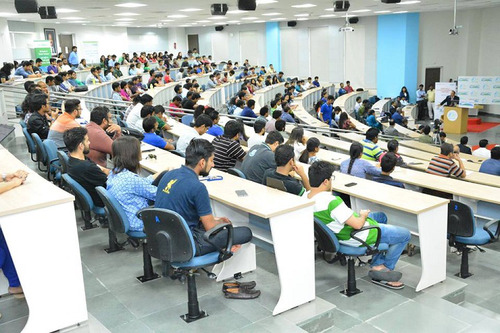 Latitude is an inter-college fest where several prominent B-schools participate. All said and done the placement scenario in the college is good. With 100% placements track record the college ensures that everyone gets decently placed. Great Lakes Institute of Management or GLIM as we fondly call it is a great destination for people seeking management knowledge. Journey of a lot of professional and personal key takeaways. 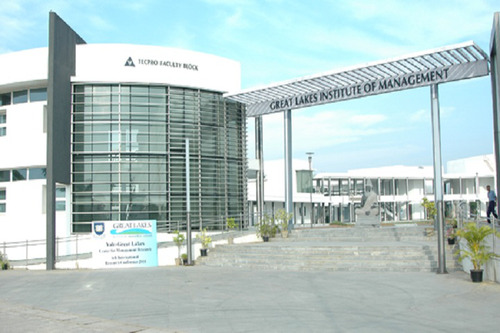 The Great Lakes Institute of Management (GLIM) is located in Chennai, the capital of Tamil Nadu. It was established in 2004. The total campus size is worth twenty- seven acres of land. Another campus was opened in Gurugram, part of Delhi NCR in Haryana. This was done in 2011. 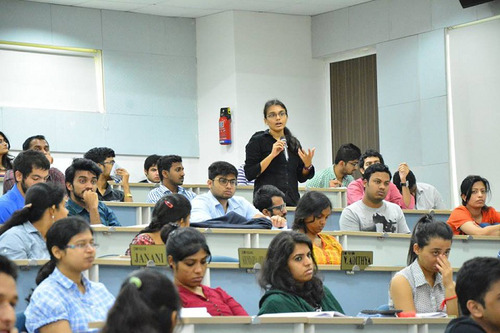 The GLIM was started with the intention of revolutionizing management education in India. The primary focus here, is on the one- year programme, which is modelled on international norms, as practiced by the top colleges such as Kellogg or Wharton. The GLIM has also been accredited by the NBA (National Board of Accreditation). 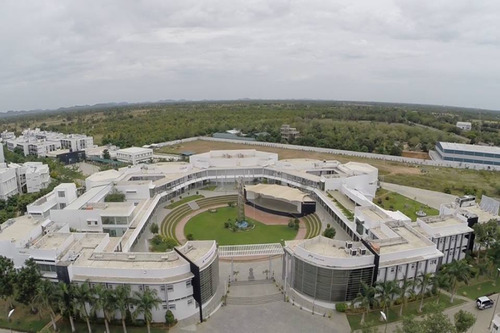 The Indian School of Business (ISB), which was established in Hyderabad, acted as a model to replicate in Tamil Nadu. The Chennai- based Great Lakes Institute of Management has remained steadfastly loyal to management education as its sole course of study. Courses are offered at only the post graduate level. The flagship course here at the GLIM, is the one- year Post Graduate Programme in Management (PGPM). The founders never sought any Indian recognition for this course, so it has remained out of the yoke of the regulatory bodies. Just like the similar course at ISB, this is meant primarily for people with a minimum of two years’ work experience, though freshers may also apply for it. 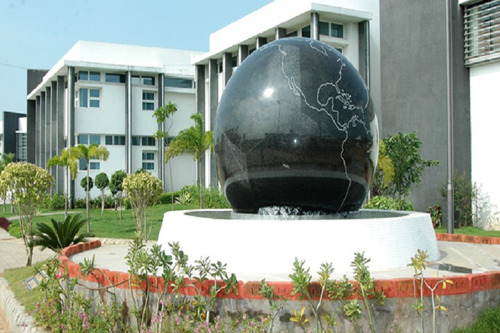 Another course here is PGDM (Post Graduate Diploma in Management). This is a two- year programme, approved by the AICTE (All India Council for Technical Education). Besides these full- time programmes meant for students, there are some that are aimed at working professionals. One such is the PGPM Flex, which is aimed at those with between two to ten years’ work experience. These are people typically keen to jump from middle or entry level management to executive positions. They may be self- sponsored, but often also company sponsored candidates are sent for this programme. Another programme is the Post Graduate Executive Programme in Management (PGPXM), also spanning for two years’ duration. In this, the enrolled students continue to work at their respective work station. This is ideal for fast- track managers or for those from family owned owner groups. Customized short- term courses are also tailored for companies specifically. An MBA in Business Analytics has also been designed by the Great Lakes Institute of Management. This is in collaboration with the Stuart School of Business, part of the Illinois Institute of Technology (IIT), in Chicago, USA. It is the latter that provides the degree. Students who go through this grind, get access to the alumni network of both the GLIM, as well as the IIT Chicago. Admissions to these programmes is via nationally or internationally accepted entrance exams’ scores. The GMAT was the primary mode of selection, but lately the XAT (Xavier Aptitude Test) and CMAT (Common Management Aptitude Test) scores are also being taken into account. Besides these scores, past academic record is also a key parameter determining selection. Each aspirant is also expected to write two essays, with substantial weightage. This college is also extremely concerned about fulfilling its diversity criteria. It has students from different academic backgrounds. The Great Lakes Institute of Management has also been extremely proactive in sealing agreements with foreign universities. This helps in research collaboration, facilitating exchange programmes and generating consulting assignments. Such partners of the GLIM are located all over the world, in the countries of USA, France and Hong Kong SAR. Besides the IIT Chicago already mentioned, the others on their list include- the Babson College, Bauer College of Business, UMKC, HKUST and the Universite de Bordeaux. The GLIM has also received its fair share of international accreditations from the bodies of AMBA (Association of MBAs, London) and SAQS (South Asian Quality Assurance System). 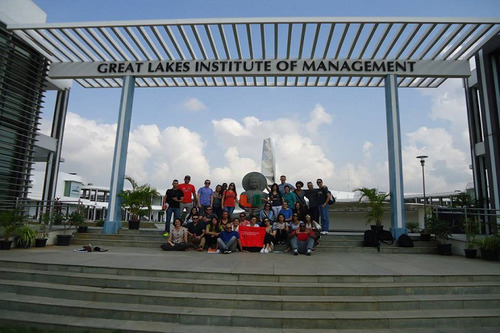 The Great Lakes Institute of Management excels in the area of research. For this, the faculty members have been regularly published on peer- reviewed journals. Many have had their papers presented at national and international conferences. The GLIM even publishes its own journal titled Herald, chronicling all latest findings on campus. A student- driven magazine also gets published here, by the name Gravity. A number of conferences are also held on campus here. As part of this, there is also the Global Thought Leader Series. As part of this, some of the top names in the world of management education visit the campus and speak to the students. 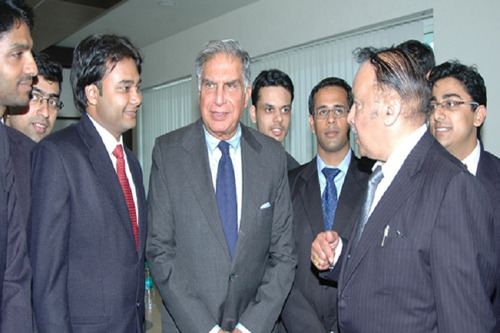 Dr. Ram Charan and Dr. Philip Kotler are just two of such names. The GLIM also has several centres of excellence on campus, designed to proceed with cutting- edge research on the specific topics. 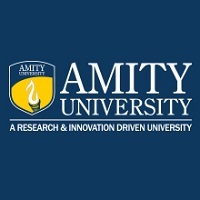 There are Centres of Excellence for the areas of- Management Research, Retail Management, Business Analytics & Business Intelligence and for Techno-preneurship. The Union Bank has developed a centre at the GLIM for Banking Excellence. There is also a Kotler- Srinivasan Centre for Research in Marketing. 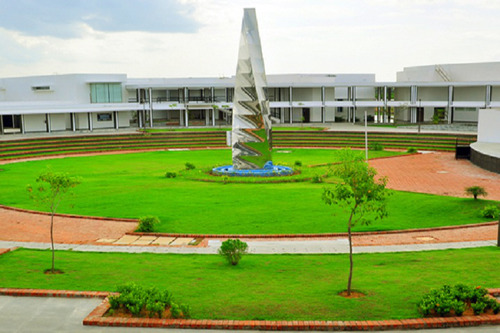 The NIRF (National Institutional Rankings Framework) has duly recognized all this by placing the college at the 31st rank within the management category. Recruiters too have taken due notice. The last few seasons have seen some of the top companies recruiting from the GLIM. The names include the likes of- Accenture, Barclay, Cognizant, Airtel, Dell, Cavin Kare, CRISIL, GEP, HSBC, ICICI Bank, HCL, Hero Moto Corp, ITC, DHFL, HDFC Bank, Infosys, Deloitte, Equitas Bank, Societe Generale, ZS Associates, Sutherland, Nestle, Nippon Paints, HP, Standard Chartered and many more. Boys Hostel :Boys Hostel facility available on the college campus.210 Single Rooms + 162 Double Rooms. Girls Hostel :Girls Hostel facility available on the college campus.83 Single Rooms + 61 Double Rooms. Medical/Hospital :The First Aid Medical available on the college campus. Sports :Indoor and Outdoor sports facility available on the college campus. Transport Facility :Transport facility on the college campus.